I'm working on an enhancement for an application. The enhancement allows the users to validate and view the errors on their uploaded data. These errors are something the user would need to revisit. They would like to be able to view the errors to edit the data and make corrections. Would it be better to display them on a pop-up window or a new tab? Or, display on same tab, but with an option to pop-out? As a user, what option is the best? 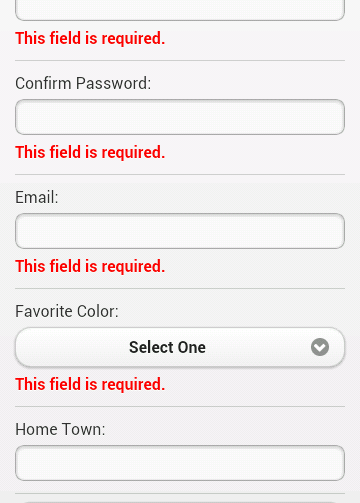 This is a common design paradigm now that web form internet users are accustomed to. I don't know why you'd need a pop-out or a new tab. Typically, pop ups are considered to be annoying, with many browsers disabling pop ups by default. Sometimes they go behind the main browser window and creates additional usability problems. So its not just advertising that brings down the pop up's reputation. In your case, your users already trust your application as they're presumably uploading some data to your server. I'd also assume that the errors you're talking about would need to be referenced by your users in order to fix problems with their uploads. For your particular case, you could consider the now widely used overlays. Overlays are now being used on most popular websites, extensively for providing user help. You can read more about this here. The primary advantage of an overlay is that it would allow the user to interact with your primary browser page while the overlay is open. Additionally, you can give the user an option to convert the overlay into a pop up box if they wish. I'd also consider the possiblity of just displaying the errors in a persistent box on the top of the page and pushing rest of the content down. Display the errors as a list, with identifying data on left and e.g. initial part of main error message on right. Allow users to click on a row to correct corresponding data, display that in a pop-up form. Allow "next error" navigation in the pop-up so they don't have to close the popup to deal with the next error, but can do if they want - e.g. to skip ahead or reorder list etc. There can be complications, as often there are dependencies between field values. So fixing one error might also fix other errors (or introduce them). Also you might need to handle multiple errors per item. It can be hard to do this in a way that keeps it simple to also handle the simple cases. I would use pop-ups because it leaves some context visible in the background that helps preserve some notion of progress that might otherwise become hidden and give the feeling of being lost in a maze of twisty passages, all different. Not the answer you're looking for? Browse other questions tagged validation popup winforms or ask your own question. Should I open a Live Chat as a popup or as a new tab?